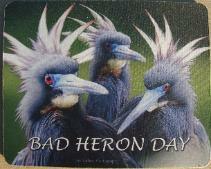 "Bad Heron Day" and "Bald is Beautiful"
Gift items from Jim Rathert Photography! Bald Eagle, and Wood Stork. 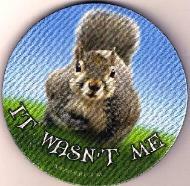 and in Mouse Pads and Foam Coasters. are Dishwasher & Microwave Safe! Choose from over a dozen gorgeous images to grace these durable 11 ounce ceramic mugs. Dishwasher and Microwave Safe! Spectacular photos on mugs which are dishwasher and microwave safe! Jim's superb owl images on a durable (and washable! )four inch round foam rubber coaster. 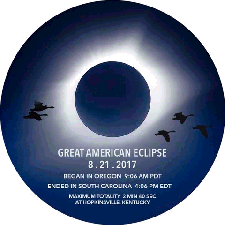 These 4 inch round foam rubber coasters bear the images to match Jim Rathert's spectacular mugs. Very durable (the images will not peel or wear off! )these coasters can be washed by hand in mild dishwashing liquid for easy clean-up. A practical gift that will last for many years, and the perfect gift when paired with a matching Rathert Mug! the First Class Mail option at check out. Check out Jim Rathert's new "Wild Indigo" line of mugs and Coasters. 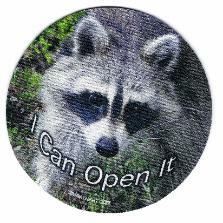 One is a sly Raccoon who says "I can Open it"! 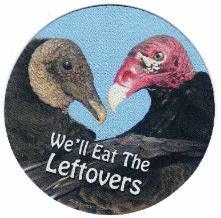 The other is a pair of vultures who offer to "Eat the Leftovers"! 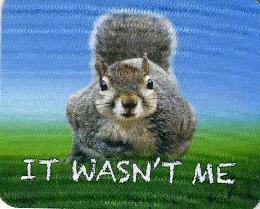 5 inch x 6 inch Mini-Mousepad. Functional Jar Openers have a sense of humor! The Jim Rathert Photography Owl Collection! NEW Design! The "Five Owl Mug"
Two Great Designs, Two Great Sizes. Choose your favorite...or get both!